Suppose a world has no other means to deal with a potentially devastating meteor impact than creating a net on the planet. Their hope is that the massive net will catch the meteor and slow it down as much as possible to avoid apocalypse. They have ample time to prepare for the collision, but there is no miracle material that is invented nor is there magic. We are only in the near future; perhaps this plan is doomed to fail. Doomed or not, this planet wants to build the best net it can. Which material(s) would be optimal for a massive meteor net to save a planet that is otherwise incapable of saving itself? Support rods: let's not dwell too much on this. Assume they are strong and in place to suspend the net. The weakest point will not be the connection between the net and the rods. That should simplify things for answers on the material. At the energies involved, no known net material could stop an asteroid which was big enough to be a threat. Even if it could, "stopping" the asteroid still leaves you with all that energy to dissipate. And it will dissipate in a massive explosion. You can get a rough idea of the scale of these sorts of problems by calculating the energies involved. Using an impact calculator, we find a rocky 10km asteroid (a once in 100 million years size) with a density of about 3,000 kg/m^3 has a mass of about 1.6e15 kg. At 18 km/s that packs a wholloping 2.5e23 J. That is roughly the energy if we put all our Uranium-238 in a reactor at once. That's 10 times all our coal reserves going off at once. It's 60,000,000 megatons, 1 million Tsar Bombs. If it hits land, it will produce a fireball over 100 km in diameter and a crater 75 km in diameter and 1km deep. No net of any known or speculated material can stop this. It will pass through it like it wasn't even there. If the net somehow held, whatever is holding it would break. See World Outsider's answer for details. What if the net held? Let's assume the net and whatever sky hooks it's attached to held... somehow. Most asteroids are piles of gravel loosely held together by gravity. The asteroid has so much mass and so much energy it will disintegrate and pass right through the net. A small amount of energy will be lost passing through the net, causing an explosion, but most will be retained. Now instead of one big impactor, you have a shotgun of smaller ones, still with the same total energy. What if the net held and so did the asteroid? Let's assume the net holds, the sky hooks hold, and the asteroid does not disintegrate. That isn't much use unless we can also stop it. As they say, it's not the fall that kills you but the sudden stop at the end. When 1.6e15 kg goes from 18 km/s to 0, the energy has to go somewhere. 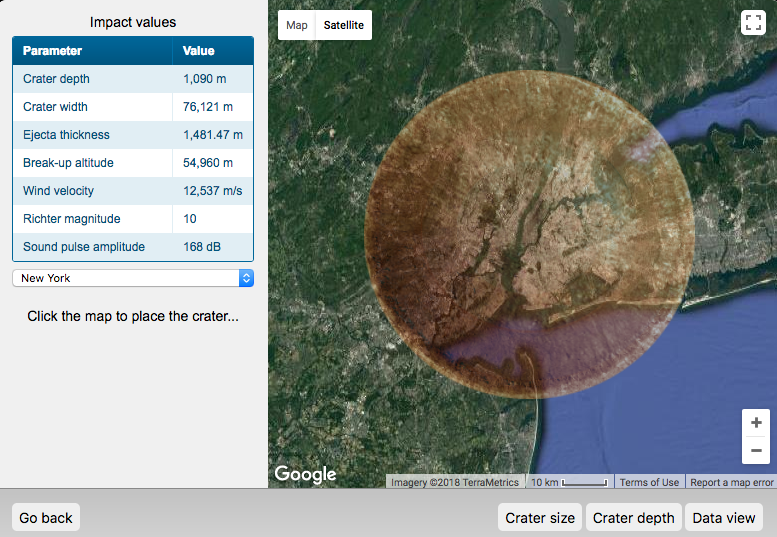 Instead of impacting the ground and exploding, your asteroid impacts the net and explodes. How much damage it does depends on how fast it explodes and how high up the net is. The higher the net, the slower it can decelerate the asteroid. We need to make this stop as unsudden as possible, or well outside the Earth's atmosphere where it will do less damage. Of course, in order to stop it we need 2.5e23 J of energy... handwave. $a$ is how fast we have to decelerate it. $d$ is the distance we have to decelerate it. And let's play with some distances. Maybe your net is hooked between two very tall mountains, 9 km high. It needs to decelerate at 18 km/s^2, or 1800 g's, in one second. 2.5e23 J being released in one second is 2.5e23 Watts or a million times the energy received from the Sun in that time. It explodes. At 100 km, where space begins, and hung from... something... it needs to decelerate at 1.62 km/s^2 or about 165 g's over 11 seconds releasing 2.3e22 Watts, or 100,000 times the energy from the Sun, into the atmosphere. At geostationary orbit 42,000 km out, it only needs a leisurely 3.8 m/s^2 for 4700 seconds. This is 5.3e19 Watts or 300 times the power received from the Sun for over an hour. It will be very hot, I'm not sure how to calculate how hot, but you probably don't want to let it get too close to the Earth. If you'd like to know how much damage it will do when "it explodes", I found this delightful paper for you: "Simulation-based height of burst map for asteroid airburst damage prediction". If you have enough lead time to build a net, there are much better options. You take advantage that space is really, really big and the Earth is relatively small and it's moving very, very fast. It's a 13,000 km ball moving at 30 km/s in a volume space of millions of millions of millions of km^3. And it's moving at 30 km/s. If you give the asteroid a small but constant nudge early enough it will miss. One Falcon Heavy rocket produces about 25,000 kN of thrust. If it pushes our 1.6e15 kg asteroid it will produce an acceleration of 1.5e-11 km/s^2. That's not a lot, but over a year (I don't ask you about your sky-hooks, you don't ask me how we fuel a rocket on an asteroid for a year) it's a 0.5 m/s change. Again, not a lot, but over a year that's a 16,000 km difference which is enough to miss the Earth. Sorry, there is no way this is going to work. If the net is supposed to halt the meteor by either elastically absorbing its kinetic energy (and then maybe bouncing it back?) or by inelastically absorb all its energy and converting it into heat, it has to mechanically interact with the body. Mechanical interactions in any body propagates at the speed of sound, which for metals is around 5 km/s, and for diamond is 12 km/s. This means that, whatever material one picks, the meteorite will be moving at supersonic velocity into it. Translated, the material will first see a hole in itself, and then notice it has been hit by something, together with the propagation of a large shockwave. The only attempt could be to stack a layer of material with a comparable size in the path of the meteorite, possibly directed against it, and hope that the impact will break it apart (though this is likely to leave a big lump of merged materials around). But since you want a net (either on the planet or laid around in space), I think this is excluded. We can do some simple math here to see what our constraints really look like. Let's assume the meteor is mostly made of iron, because I heard that's a common composition in a museum somewhere. Assuming spherical shape, it would be around 3.3 * 10^16 kg. The kinetic energy of the meteor would therefore be 5.3 * 10^24 Joules. We'll assume this is the Kinetic energy at contact with zero gravitational potential energy left. Out of curiosity though, since the escape velocity of Earth is 11.2 km/s, 11.2^2 = 125 and 18^2 = 324, and so gravitational potential energy accounts for at maximum 38% of the total meteor energy. Now the one fundamental thing you have to keep in mind here is this: If you really really really want to stop the meteor instead of deflect it, then that is the raw amount of energy you have to deal with. You can dissipate it, you can reflect it, you can eat it (destruction), but no matter what, that is your the raw quantity of your challenge. This is a lot of energy. It is equivalent to 25 million Tsar Bombas. How do you absorb the energy of 25 million Tsar Bombas with a net? Wolfram alpha even describes this amount of energy as 11 times the estimated energy of the Chicxulub meteor impact that destroyed the dinosaurs (granted, our calculations are very rudimentary, e.g. sphere of iron). How do we stop 11 Chicxulub asteroids with a net? This is the question you may as well be asking. Thankfully though, you have a very accommodating budget. So let's think of a solution! Again, to emphasize, we have to dissipate energy. When you catch a baseball in a glove, or hit a tennis ball with a racket, the energy is dissipated through sound waves, stress, strain, and friction heat of the catching device. In more extreme catching scenarios, the catching device is specifically designed to break in intentional ways, in order to dissipate large amounts of energy (like table saws with flesh sensors or crumple zones in vehicles). Probably our best approach for a net is to make it out of something really strong, but not so we can hold the meteor in the sky, rather so the meteor has to spend a ton of energy when it breaks the net. You make a net out of tons of carbon nanotubes. You dissipate the energy by planning on the carbon nanotubes breaking. I'm no mechanical engineer, but I'll see what I can do with rough calculating. Apparently researchers have developed high-strength carbon nanotube films with up to 9.6 GPa of tensile strength before breaking. Say in the next 50 years we get that to 10 GPa (being conservative). It looks like carbon nanotubes usually survive about 15% to 20% stretching before they break. So if we have a net that is carbon nanotubes in one single direction, in a 10km by 10km square, then if force is applied down on the net evenly (such that tension is the main force at play, and we ignore shear forces), we can find out how much energy it costs to break the net at any given net thickness. I'm actually impressed!! My first edit of this answer was so incredibly hilariously wrong! at 18 m/s we need 3.8 meters thick nanotube...... but at 18 km/s we need a 36 million meter thick net! Again, at 10 km wide and 10 km long.... 36 million meters is 5.6 times the radius of the Earth. You can also fine tune it, if you look at the formulas. If you increase the stretch distance, you don't need as thick a material. But it will simply never compensate for that raw amount of energy. This meteor catching exercise is basically futile. but fun in any case! A 10,000 km x 10,000 km square trampoline that is 36 meters thick. That is 10^8 square kilometers, which is 67% of the land area of earth, and assumes the 10 km meteor can dissipate the energy EVENLY over that ENTIRE surface. Keep in mind that energy is not the only important factor at play. Momentum is always conserved too. So no matter how you dissipate energy, unless you deflect the momentum, all the momentum of the meteor is 100% going to route through the Earth's crust eventually. Be it exploded nanotube material, or forces through the structure holding up the net, it will all route back down to the Earth's crust eventually. the problem with space is that you don't have support to absorb the impact shock. Unless you literally covered the planet with an immense strate of gel, as they do in laboratories to test bullets, no matter how hard the net: that mountain will either shatter it or push it so that in the end you get the net to collapse against the surface. If your civilization has no budget problems and wants to try something extreme, they should build in orbit a BIG brick to shoot with nuclear propellers against the asteroid. Something that has a larger mass and a higher velocity. No finesses, just a rock to hurl against another rock to deviate its course. Steel cable, I'm making certain assumptions about the mission profile but my basic argument is that you don't want elasticity and you don't need that much tensile strength so go with something you know and that can be manufactured with existing infrastructure to a high and predictable standard. The mission I'm arguing for is a long-range capture, asteroids follow predictable courses so they can be intercepted at any point along that known track. The net is sent up and makes intercept at very low relative velocity and then uses low impulse ion drives to pull the rock off course with minimal stress transfer to the meteor. I don't think you can use a ground-based net to make the catch once the rock is in the atmosphere, mainly because the rock is going to be so hot that it will instantly degrade any material you might use and melt/tear its way through. The meteor cannot be stopped, but a net designed to catch all the rocks and dust it launches may be very slightly closer to the right side of physics. I recommend starting with a "volcano" shape 100km tall with a 10km wide and extremely deep hole in the middle. If you can engineer it to collapse inwards when the meteor arrives that would be very cool to watch while the world ends anyway. To back this particular plan up with some mathematics, we can consider the optimal version of this to be approximately equivalent to dropping a mountain on top of the meteor immediately as it impacts - if the mountain is heavy enough, it will contain the energy. A net made of enough antimatter will prevent the meteor from hitting the planet, mostly because the planet won't be there any more. If you build a net in near-earth orbit then redefine "the surface of the planet" to be the net itself and migrate the entire population, it may survive most of the meteor's effects. Despite all the naysayers I'm going to say yes. Simply because you have infinite time, infinite money, invulnerable supports and all earths resources at your disposal. If we build a new moon as high as possible on those supports and have it impact that it would already soak up most of the energy and blast the rest into space. The big bad problem is mostly that the meteor hits earth, and it stops mattering if it gets to the surface as its energy will be imparted into the earth, all 60.000.000 megatons (from Shwerns answer). But the question is what kind of energy. If you make the worlds largesr single-piston engine with multiple kilometers of ablative material inside to burn through the impact, you can convert a lot of the explosion into kinetic energy and a lot will blast out the topback into space. Then you can spens years slowing the piston down while creating electricity with it. A piston isnt a real option, but I'm just illustrating how important it is where the energy goes and how to store it. Your best bet is losing energy in matter deformation and transformation. 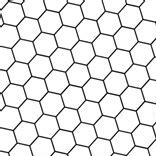 Graphene is likely one of the best materials assuming it lives up to its promises. At 5 to 300 times as strong as steel, capable of withstanding a bit more heat than the surface of the sun and very flexible it seems like a good basic element to construct from. Its pure carbon so we have enough material around for a nice, big net. What you do is create a dish. The meteor impacts the center, energy disperses outwards against the sides of the dish and most of the energy and gasses will be blasted back into space. We use reinforced concrete to stop near-direct hits of nuclear missiles of about 320.000 tons of TNT power, this is as thick as 14 inches/a bit less than 50cm. Graphene reinforced concrete is more than twice as strong (https://www.google.nl/amp/s/www.dezeen.com/2018/05/03/graphene-reinforced-concrete-stronger-university-of-exeter-scientists/amp/) but sadly I cant find how much stronger pure Graphene would be. Still, Graphene concrete would need a thickness of 4,1km to stop your meteor. Assume that pure Graphene would need less. This is the lining where the meteor hits. The farther down the dish the less material is needed. As the other answers say, it's nearly impossible for the net itself to physically stop the meteor. How about instead of the net being the whole answer, it is only part of the answer. Something that has been played with (in books as well as reality) is firing an electron beam at a target, then moving a charged material near to it to cause it to deflect. So instead of the net itself being the stopping force, it is instead a net to allow wide electron beams to be fired through it, while picking up enough of the charge itself, so it gains the same charge, and tries to act like a more material based magnetosphere. The size of the net itself is there to help prevent the mass of the meteors from shifting it. Of course, even if the total charge itself got massive, it still wouldn't be enough to stop anything - instead it's designed to adjust the course of the meteor when it gets close enough to the earth that it's a danger - if it's not quite got enough oomph to get it to skip the planet entirely, it should still give enough to only brush the atmosphere, causing superheated gas and possible some breaking up, but not the major direct impact on the surface itself. A question is formulated in a nice structured way, and it is sad it turns out so restrictive. And some good answers in that regard already. But generally you need not a material, but a set of technologies/approaches for more active counteracting of the threat. Yes, a 10km asteroid is a big thing and has significant energy stored in its kinetic form. But if you launch 10 times bigger thing from the surface with an escape velocity to collide with the thing, most of the collision debris will fly away. So if the question would be about the ability to counteract the thing from the surface of the earth without humans to be in space or have space technologies then I would say it is possible. It possible in multiple ways, but there a glimpse in one of them. at that time, pay no attention to narration it is irrelevant in the case, it just illustration. There is a screenshot, but it better to be seen in the dynamics. 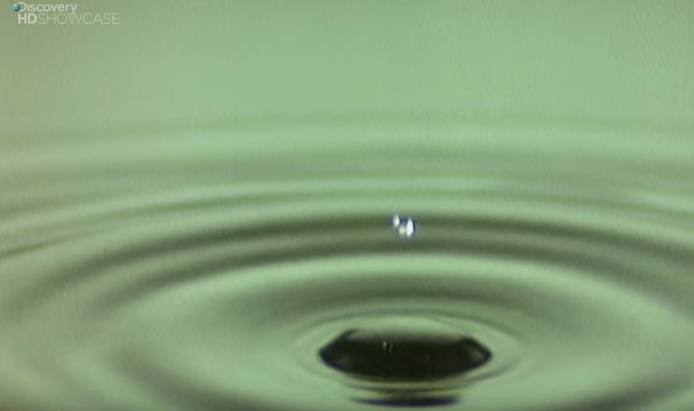 it is possible to reverse the process so a set of waves generated in a material can shoot a droplet out of the system. And such a droplet can be a 10-30km chunk of something heading to welcome our stranger asteroid. in terms of materials what to do or what to shoot, maybe this article may have some use to that, and it may be useful to read the How can I move a planet? which it refers to. Matt has "Tectonic plate crumple zone" suggestion in his answer and it may be expanded too. Or we potentially can create a higher density medium on the path of the asteroid, so instead of asteroid begins to blow 20km above earth surface, it may start to do that and more at 100's of km height. but really, it much easier to deal with it in space. Not the answer you're looking for? 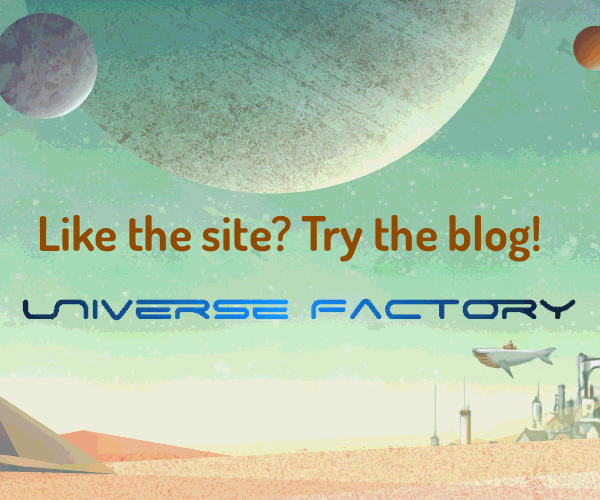 Browse other questions tagged science-based earth-like apocalypse near-future or ask your own question. How fast could a climatic change forced by a civilization happen? A meteor strikes Earth: what problem does it cause a thousand years later?